During my first night in a dorm room (in a “college”) at the University of New South Wales in Sydney, I was greeted by a thunder storm the likes of which I had never seen before. I was used to occasional thunder storms in the winter but this was completely different. Here, being late summer, it was warm and humid out while the rain fell in sheets and the lightning flashed with a frequency and strength that I had only read about. I remember laying in my bed and being absolutely amazed by the storm. It was a bit scary but also exciting beyond compare, very much how I was feeling about starting my year in Australia. 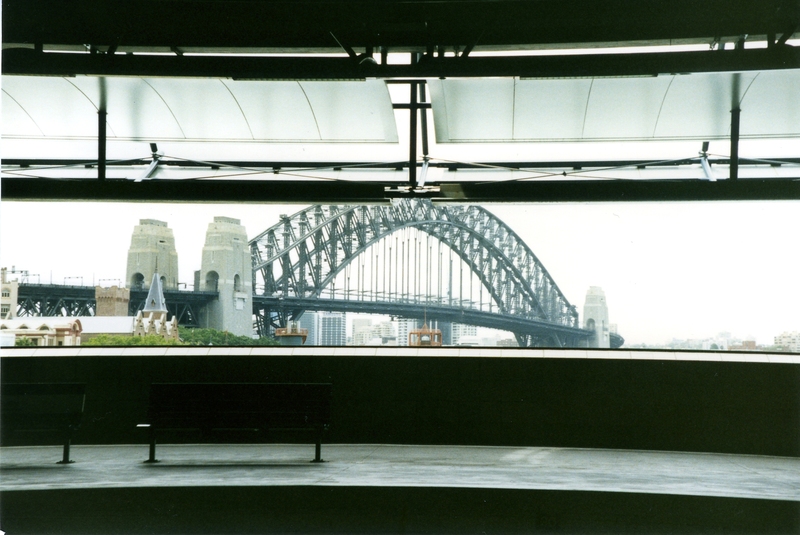 February, 2016 marked the 20th anniversary of my arrival in Sydney, Australia. I went my junior year of college to the University of New South Wales as part of the UC Education Abroad program. I’ve kept a running count of how many years it has been, 5 years, 10 years, etc. The 20th was no different, but it served as a kind of milestone, since that trip was almost half of my lifetime ago. I don’t tend to fixate on past events as much as I used to, but I still can get very nostalgic. Seeing pictures of me and my friends from that time brought up a lot of really good memories and induced a heavy wave of nostalgia. I started thinking about the nostalgia for that period that I was feeling. The obvious factors were the lifestyle. I was studying seriously, but unlike my time at Berkeley I was going out a lot more, had a close group of friends I spent a lot of time with and even got to do a bunch of traveling with a friend around Australia. There was also the effect of seeing how young I and the friends I am still in touch with looked in those pictures. I also remember how optimistic I was for my future, I wasn’t even worried about a career because it seemed so natural that I would go into academics. The positive memories were the ones that came up first, but I had to remind myself that I initially had a very hard time. After deciding that the rooms in the college/dorm were too expensive, I decided to look for off-campus housing. I crashed on my friend’s floor for a week while I was searching. I eventually found a room nearby. The house was okay, but one of my flat mates turned out to be rather difficult to be around, and the biggest roaches I had ever seen were waiting for me at night when I had to walk out of the house itself into an enclosed laundry room to reach the toilet. I also was missing home a lot. Being away from California made me appreciate a lot of things I had taken for granted (Mexican food was a huge one). Besides being homesick and the suboptimal living situation, the main issue affecting me was my, still bewildering, choice to try and keep a relationship with my on/off girlfriend back home. We’d met 6 months before my trip and I insisted that we keep the relationship going. Obviously, trying to maintain the relationship while I was overseas was emotionally taxing and led to unnecessary drama. I also feel that in trying to maintain that relationship, I was much slower in fully become part of my new environment. I think perhaps knowing that I had a relationship back home to attend to kept me preoccupied with home too much. I also missed out on several potential relationships with female classmates. On the upside, I also got to experience a truly dysfunctional relationship with the same girlfriend when I returned home, and was much more appreciative when I met the woman who was to become my wife. Sydney really only felt like home the second half of my trip. I remember returning from my month long trip around Australia during my winter break. It was night, and coming in over the Harbour Bridge I could see the lights and familiar landmarks. I felt at home, and was surprised to have that sensation. I went on to move in with a much better group of people which made my living situation much more comfortable and fun (and I am still in close contact with one those flatmates). I knew how to get around, had my favorite cafes and restaurants and was more aware of the music scene. I also noticed that more of the Australia students at the university approached me that second semester and I made more friends. I look back on my time in Australia as a remarkable year. It was a turning point in my life; I learned that there was more to life and college than just studying all the time. I learned to go to my friends for help when I needed it, and to be there for others. It also just exposed me to a very different world for a year. There are so many indelible memories and images I have from that year. A small sampling include walking home one night and having a flying fox drop out of a tree close to my house just as I walked by and then seeing another one silhouetted against the moon as I looked up, the animals(emus, kangaroos, etc) at the nature preserve coming to eat our leftovers as we were leaving during the orientation week, having dingos steal my friend’s shoe while sleeping on a tarp on Fraser Island (and discovering that Sand Flies are a million times worse than mosquitos), my flatmate and I hiding behind a door trying to swat a flying roach and seeing the Crowded House farewell concert outside the Opera house. These images and memories never fail to warm me inside, and opens a deep longing that period of my life. On my last day in Sydney two very close friends, that I happen to still be in contact with, drove me to the airport. We had some coffee in the café, laughed and joked and reminisced about my year. Then it was time to go. It was odd to find myself feeling that I was leaving rather than going home. I started crying as I hugged them goodbye, and my tears fell like a late summer storm, sheets of warm rain, well after Sydney’s beautiful Harbour and Opera House fell out of view. This entry was posted in love and tagged australia, nostalgia by admin. Bookmark the permalink.